Brazil expects to develop a vaccine for the Zika virus in about a year, health officials say. However, two more years would be needed for any large-scale rollout, health minister Marcelo Castro said. Brazil is at the center of an outbreak of the Zika virus that has been linked to a surge of brain malformations in newborn babies. Separately, officials have said the death of a third adult in Brazil had possible links to Zika. 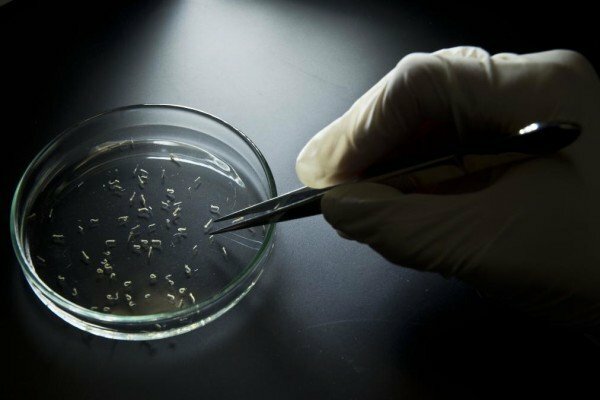 Marcelo Castro announced that Brazil would invest $1.9 million in research for the Zika vaccine over the next five years, in partnership with scientists at the University of Texas. Researchers have agreed that the testing of the vaccine would happen simultaneously in mice and monkeys, and not separately, to speed up the process, he said. A vaccine could be ready for distribution within three years, Marcelo Castro added. The World Health Organization (WHO) declared a global public health emergency over the possible connection between Zika and microcephaly, a condition marked by abnormally small heads in newborn babies that can result in developmental problems. The link with Zika has not been confirmed, but the WHO and other public health bodies have said it is strongly suspected. Brazil has seen more than 4,000 suspected cases of microcephaly since October – a huge surge considering it had fewer than 150 cases in the whole of 2014. Officials there believe as many as 1.5 million people could be infected by Zika. Brazil has also announced a partnership with the US Centers for Disease Control and Prevention (CDC) for studies about the possible relation between the virus and the condition. The microcephaly cases have been centered in north-east Brazil, but the Zika outbreak has affected people in more than 20 countries in the Americas. Brazilian researchers found the Zika virus in the body of a 20-year-old woman who died last April from respiratory problems in the north-eastern state of Rio Grande do Norte, the health minister said. Two other patients last year also died from complications while they were infected with the virus, before the outbreak had been discovered. “We are still studying this in greater detail,” Marcelo Castro said at a press conference. WHO director general, Margaret Chan, is expected to visit Brazil on February 23, Brazil’s health minister said.